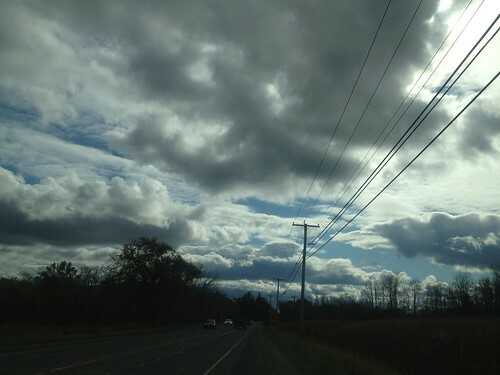 skies, a photo by jahansell on Flickr. On Route 7 driving south from Great Barrington. I continue to be impressed with the pictures I"m getting from my iPhone 4S. When I use the HDR feature they're even better.